We're ready to snap too. How about fetching us some treats and making THAT snappeh, eh? Hop to, Friends! Put a little meaning in your life. Help livingness! Help bunnies! Is it just the photo or is Leonardo a guinea pig? Not a guinea pig. They are more polite. 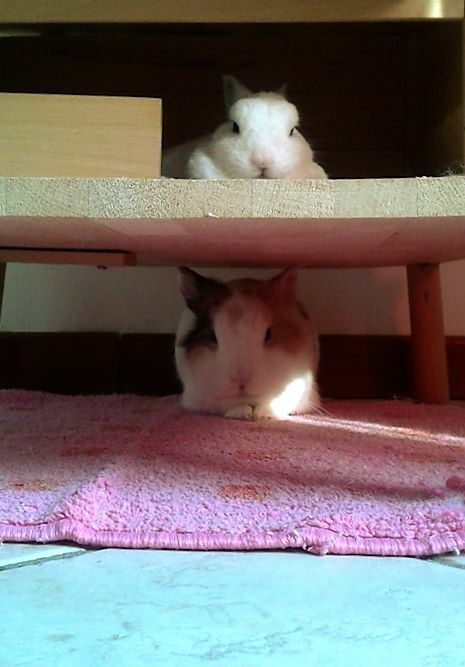 As you leave your treats for these two, remember - under NO circumstances must you EVER give a bunny chocolate - NEVER. Bricks and mortar are almost not necessary; two storeys of firm disapproval will hold up any structure.